The contours of August the Squared Fire curve and twist around an invisible axis, framed by strong rectilinear forms. 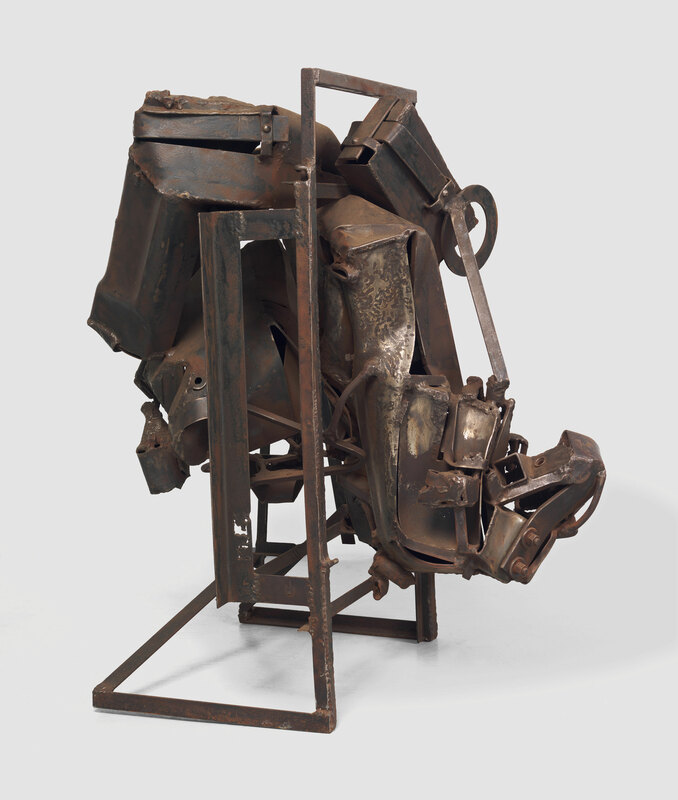 The title of this work refers to the Watts uprising of 1965, and the formal arrangement of the steel structure is analogous to the destruction of 103rd Street in Watts. "August the Squared Fire." Now Dig This! Art in Black Los Angeles, 1960–1980 Digital Archive. Los Angeles: Hammer Museum, 2016. https://hammer.ucla.edu/now-dig-this/art/august-the-squared-fire.